London, United Kingdom – Exiting the European Union, Theresa May suggested after the referendum two years ago, was a simple process. “Brexit means Brexit,” she said in the wake of the United Kingdom‘s vote to quit the EU, following former Prime Minister David Cameron‘s decision to resign over the result. Almost two and a half years after she succeeded Cameron, however, May now finds herself mired in the complexity of trying to manage the divorce. On Tuesday, she faces a parliamentary showdown over her proposed withdrawal agreement, brokered during months of fractious negotiations with counterparts in Brussels. The deal has little support across the political spectrum and is widely expected to be rejected by the House of Commons. Analysts have said that this could trigger a leadership challenge, general election or even a second referendum – all of which threaten to end the 62-year-old’s time in office. But they also recognise that talk of her possible demise could be premature. There are 650 MPs in the House of Commons, and the vote will be decided by a simple majority, meaning May needs at least 320 supporters. The actual number needed will depend on the day – some MPs may abstain, others could be absent. “If Number 10 [the prime minister’s residence and office], in this crazy world we live in, can sell a parliamentary defeat as a victory of sorts then she can go to Brussels on Thursday and try to get some further compromises,” Menon adds, in reference to the upcoming EU Council summit. May appears to be something of a survivor in the cut-and-thrust world of British politics. Since assuming leadership of the ruling Conservative Party and the country in July 2016, she has overcome several major political defeats and body blows to her leadership amid the turmoil unleashed by the Brexit vote. In part, Menon says, such difficulties have been inevitable. “Any prime minister doing Brexit would have had their time in premiership defined by it … she’s in a very difficult situation,” he adds. May’s ill-judged call for a general election in June 2017, 11 months after she succeeded Cameron, cost the Conservatives their majority in parliament. They have since had to rely on an often uneasy partnership with the Northern Irish Democratic Unionist Party (DUP) to govern. An already fragile administration has been further tested, meanwhile, by a string of ministerial resignations triggered by May’s approach to Brexit. 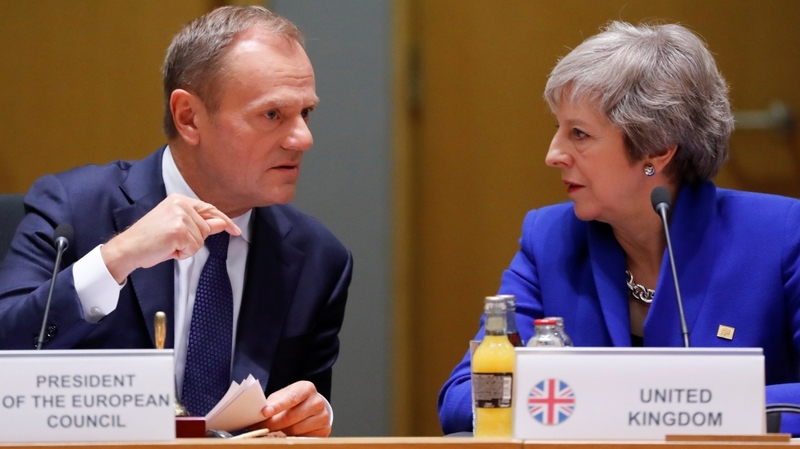 Critics from within her party, which is deeply divided on membership of the EU, argue her deal would see Britain enter a sort of no man’s land in relation to Brussels. Opposition has come from other quarters too. The leader of the main opposition Labour Party, Jeremy Corbyn, has described the plan as “half-baked” and not “in the interests of the whole country”. The DUP, meanwhile, has pledged to reject it over concerns its so-called “backstop” clause – a safety net proposal to prevent a hard border on the island of Ireland – could result in Northern Ireland remaining in the EU’s customs union after the rest of the UK has exited. And earlier this week, a coalition of six parties – including the DUP and Labour – orchestrated a landmark vote to declare the government in contempt of parliament for failing to disclose legal advice relating to the deal. But while attracting condemnation, May has also won domestic and regional approval from some for her determination to deliver on the mandate provided by the EU referendum. “I think there is this kind of empathy for Theresa May,” said Agata Gostynska-Jakubowska, a senior research fellow at the Centre for European Reform. “There is this understanding that she has had this very difficult job, being pressed from both within her party and across the political spectrum. A vicar’s daughter with a self-proclaimed dedication to public service and a guarded private life, May is only one of two women to have reached the summit of British politics. The other, Margaret Thatcher, also had a tumultuous relationship with Europe. Like Thatcher, May’s views on Europe appear to have evolved over time. While serving as the home secretary prior to the 2016 referendum, she spoke in favour of the UK remaining in the EU. Since then, she has refused to say whether she would vote leave or remain in the event of a replayed vote, however. Instead, she’s pressed ahead with pursuing a divorce deal and rejected any possibility of a second vote taking place. Almost, analysts say, at the expense of everything else. The promises of social reform and pledges to run a government not solely consumed by Brexit, which earmarked the early days of May’s leadership, seem distant. The best she can hope for now is to survive the week ahead. Why are France’s yellow vest protests so white?